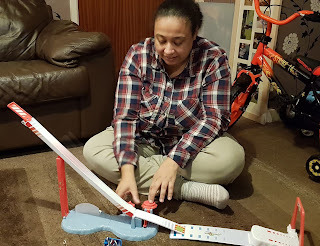 The Ski Jump game is a fantastic game for 2-4 players, age 8+ that is loads of fun! It's fairly quick and easy to set up - on first use, you've got stick some stickers on for the characters on the ramp, but it doesn't take long. The game itself is very easy to get the hang of. It's age 8+ but Marley, who is 4 years old, played with us and had no problems - in fact, he won every time! You pick which character you want from the long skiis, snowboarder, bath tub or sledge, then you choose which height you want the ramp at and try to perform a number or tricks to score the most points - more flips (while in the air) equals more points, and going under or over the banner or hitting the ramp gives you more points and you get a load of points when you land standing! 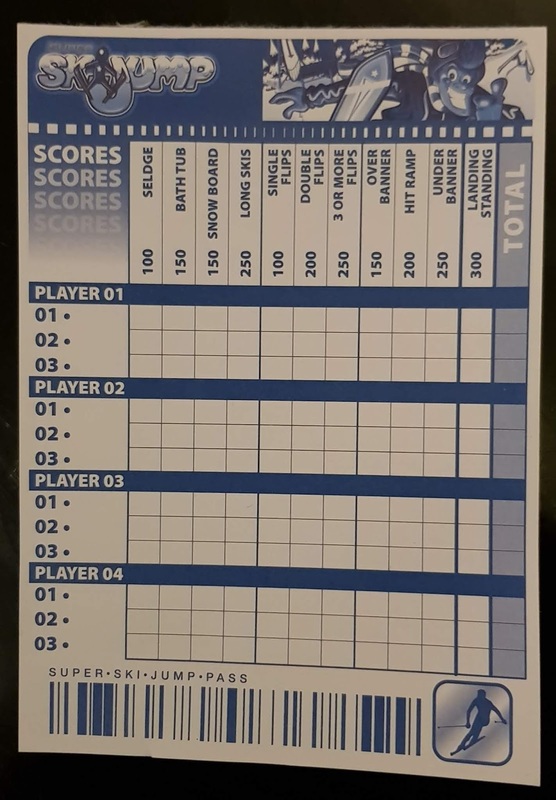 Each player gets 3 turns to try and get the most points and win. You can use a different character each time, some characters earn you more points than others based on difficulty. Paul was really terrible at it - he has no sense of timing! You put your character at the top of the ramp, turn the handle and try and time it well when it hits the bottom to flip your character. 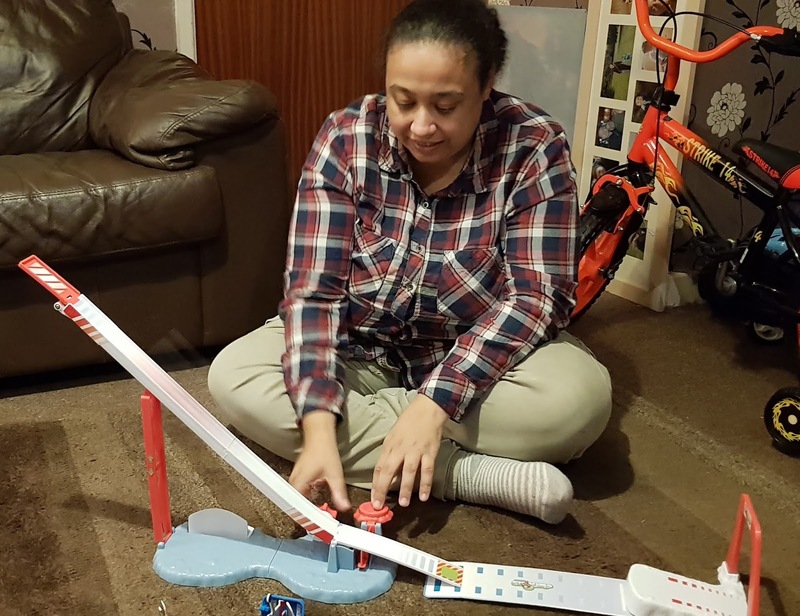 This game is definitely great family fun whether you're old or young! 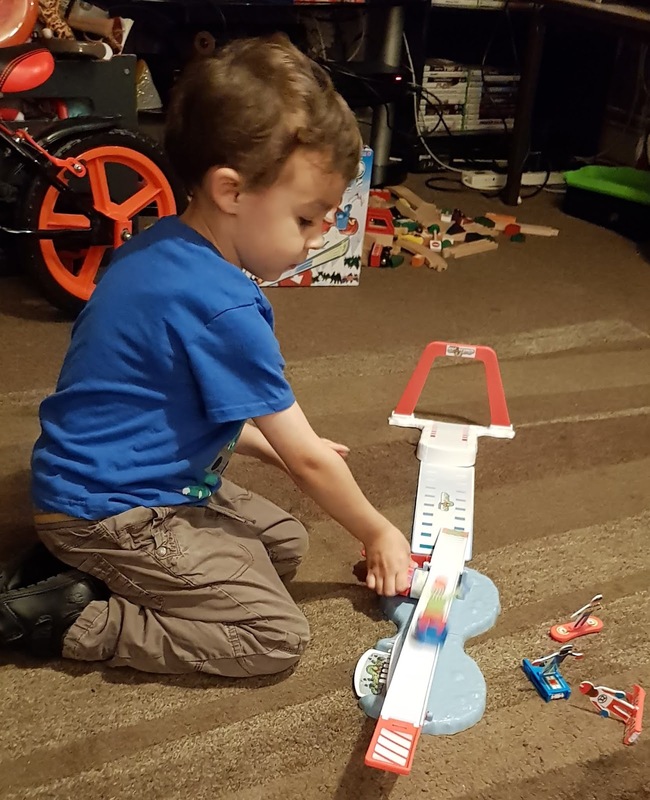 We've played it together loads since we've received it and it's already become a family favourite! This game really is great for all ages - David (who is 16) also really loves playing it, so it would make a great gift for a teen! It's a fast, action-packed game that will have you all laughing, it really is a lot of fun! 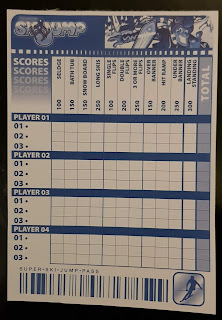 If you run out of scorecards, you can download new ones here. 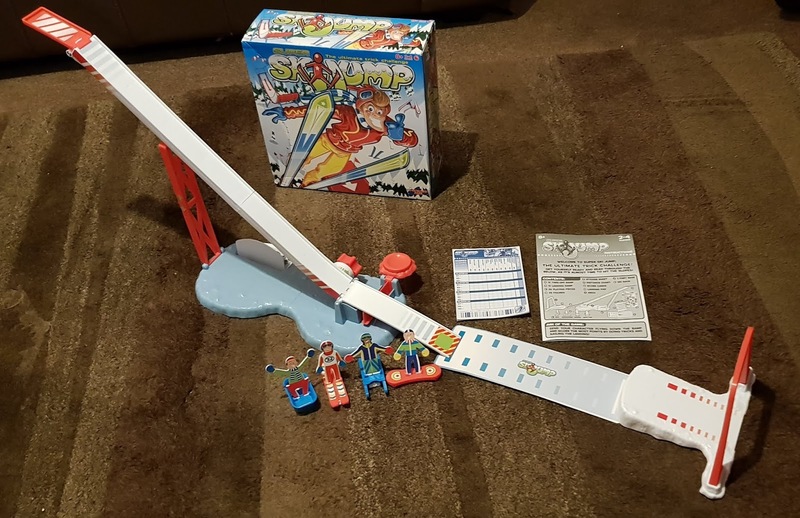 Super Ski Jump retails at RRP £19.99 - for more information and stockists, visit the Drumond Park website or visit them on Facebook or Twitter.